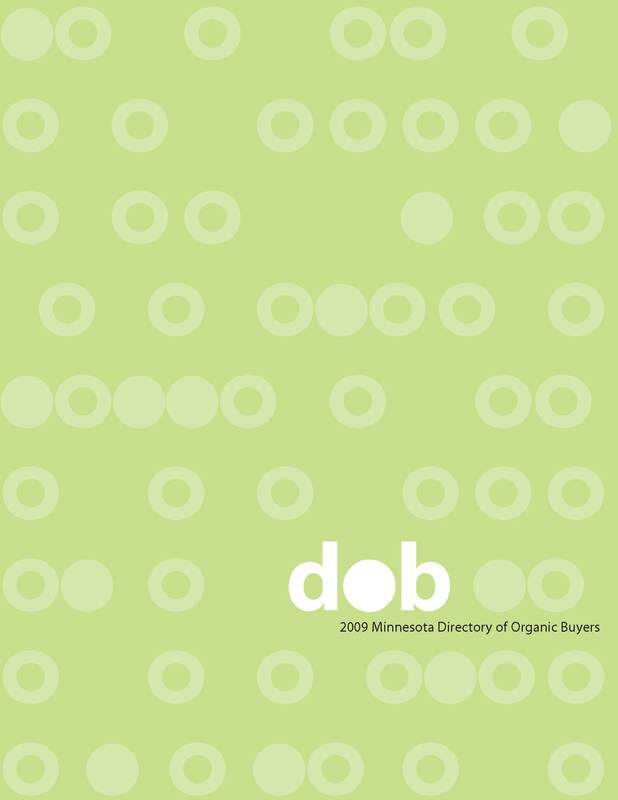 The 2009 Minnesota Directory of Organic Buyers lists approximately 100 Minnesota-based retailers, wholesalers, manufacturers, and other buyers of organic commodities and food products. Within the Directory, buyer listings are organized by company name, county, and product. Listings include company contact information as well as company purchasing preferences to help farmers better connect with buyers. The Directory project was funded by the Minnesota Institute for Sustainable Agriculture after more than 40 percent of certified organic respondents to the 2007 Minnesota Organic Farmer Survey (conducted by the Minnesota Department of Agriculture), said a buyer directory “would be most helpful” (when asked to choose one proposed marketing resource). Directory applications were mailed to more than 850 Minnesota-based buyers of food products. The Directory was printed with support from the Minnesota Department of Agriculture. "This publication was produced as a joint effort between MISA and the Minnesota Department of Agriculture"